Mr. Oladele John Nihi from Kogi state has started trekking from Abuja to Otuoke, the hometown of President Goodluck Jonathan, to celebrate him (Jonathan) as the hero of democracy. 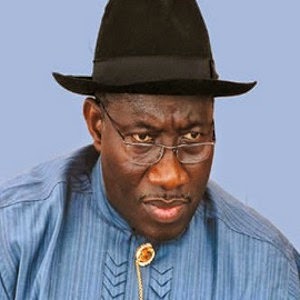 Nihi, who started his journey, Monday, at 6:00am local time said that he chose to celebrate Jonathan for sustaining democracy and keeping to his promise of free, fair and transparent election in the country. He stressed that the president who lost the election to Maj.Gen. Muhammadu Buhari deserve more than a walk or trek for ensuring that “no blood of any Nigerian is worth his ambition”. The trekker promised to keep Nigerians and the world updated about his journey with hashtag (#TrekForGEJ).